When you talk tradition in the sport of wrestling there are few programs comparable to Oklahoma State and Iowa State. 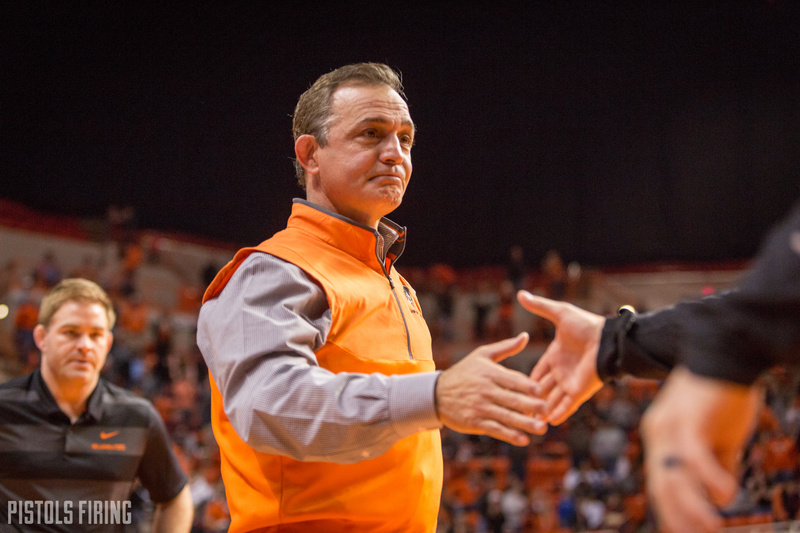 They’ll both be in Gallagher-Iba Arena on Sunday. In recent years, the Cyclones have been a little under the mark of what they’ve been historically. In 2017 they hired Kevin Dresser and he’s made one of the quickest rebuilds I’ve ever seen. Iowa State won one dual in 2016-17 before Dresser came in. In 2017-18 (Dresser’s first year), they went 8-10 and in just his second season they are 7-1 with their only loss coming at fourth-ranked Iowa by 1 point. Iowa State rolled over Oklahoma on Friday night in Ames. This should be a very good dual. OSU is a clear favorite, but Iowa State will put up a fight at every single weight. Nick Piccininni will be one of the heavier favorites over Alex Mackall and 125 is a spot you’ll hope to see some bonus points. 133 has been one of the wilder weights in the country this year and Austin Gomez is widely considered one of the better wrestlers. He likes to throw and can be very dangerous. Daton Fix has beat him multiple times before including the Southern Scuffle final earlier this season. On paper, at 141 Kaid Brock is the favorite. But Ian Parker knocked off Dom Demas on Friday, who beat Kaid in the Bedlam dual. He is no pushover and could certainly make this one interesting. 149 has potential to be the best match. Jarrett Degen is arguably ISU’s best guy. The interesting question is who will he be wrestling? Kaden Gfeller has been tremendous as he’s stepped in during Boo Lewallen’s absence. Lewallen may be returning from injury this weekend. 157 seems to be in flux for the Cowboys as they’ve wrestled Andrew Shomers, Jonce Blaylock, and Wyatt Sheets all here. I wouldn’t be totally shocked if this is where we end up seeing Lewallen. Whoever it is will wrestle Chase Straw who is certainly formidable. It sounds like we will not see Chandler Rogers at 165, which means, more than likely, Andrew Shomers will be wrestling up again and taking on Logan Schumacher. Schumacher’s 13-8 on the season and only a freshman. This still could be a test for an undersized Shomers wrestling up a weight. At 184 and 197, Jacobe Smith and Dakota Geer will have their hands full. Sammie Colbray at 184 is ranked in the top 20 and will have some size on Jacobe Smith. Dakota Geer is in a similar situation with three time All American Willie Miklus. If it comes down to heavyweight to decide the dual you should like Derek Whites odds to close it out over Gannon Gremmel. This is one of those where, on paper, if OSU wins what they’re projected to it will be fine. But this isn’t the Iowa State from recent years. It’s a very good, hard-nosed team. If they win the toss-ups and pull an upset or two it could be a very tight dual. It’s certainly the most complete team OSU has faced all year and should be a good one. The dual is Sunday afternoon at 2 p.m.